As noted, Daniel Bryan defeated AJ Styles to win the WWE Championship and turn heel in the process. Bryan attacked Styles after the match, and is now scheduled to face Brock Lesnar at Survivor Series in a champion versus champion match this Sunday. 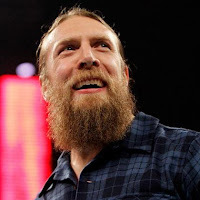 During the most recent edition of Wrestling Observer Radio, Dave Meltzer talked about the title change and Bryan's heel turn, and said that Bryan had been pushing to turn heel. Bryan came up with the idea of turning heel several weeks ago, and Vince McMahon decided to go ahead with the turn on the day of the show. Dave further noted that Bryan defeating Styles for the championship was decided last weekend. Meltzer mentioned that Vince wanted to get maximum impact with the change in plans, and decided to do the title change and the heel turn on the same night. Dave also speculated that while Bryan winning the title was decided before Becky Lynch's injury, the injury might have influenced Vince's decision to turn Bryan heel and make it the biggest talking point heading into The Survivor Series. Bryan has talked for years about Lesnar being a dream match for him. Bryan and Lesnar were at one point scheduled to face each other at SummerSlam in 2014 when Bryan was the WWE World Heavyweight Champion, however Bryan was forced to vacate the title due to a neck injury. Lesnar went on to defeat Cena for the title at the show.